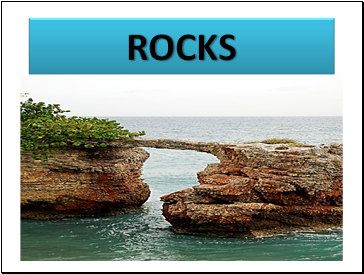 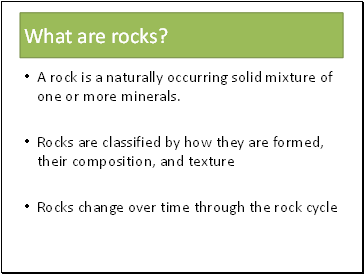 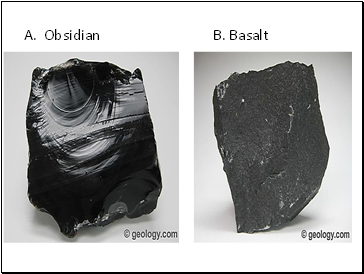 A rock is a naturally occurring solid mixture of one or more minerals. 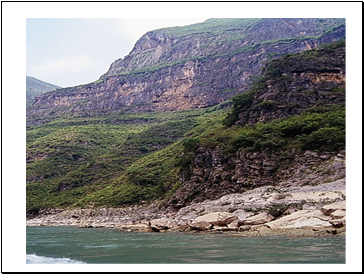 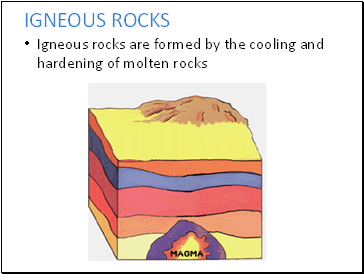 Magma does not always reach the surface but may solidify below the Earth’s surface. 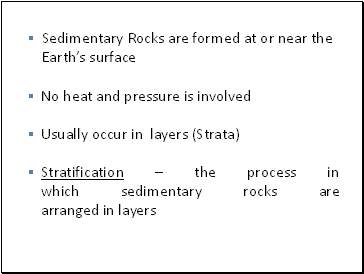 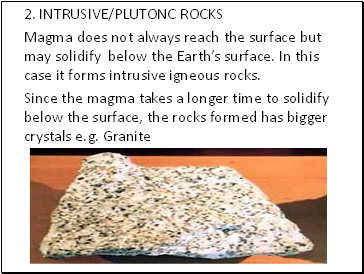 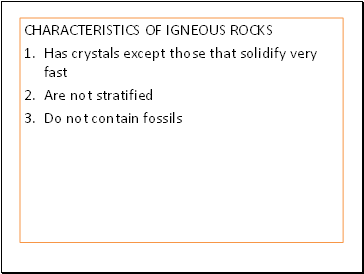 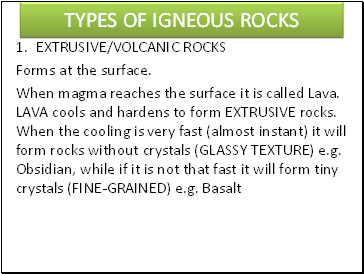 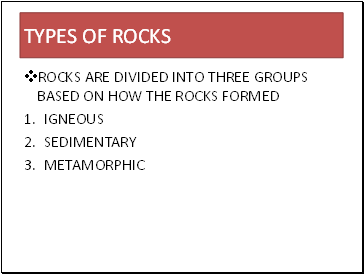 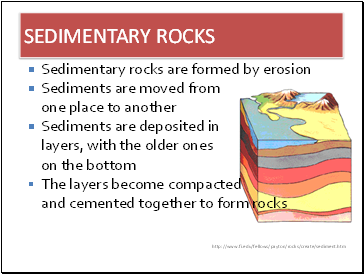 In this case it forms intrusive igneous rocks.